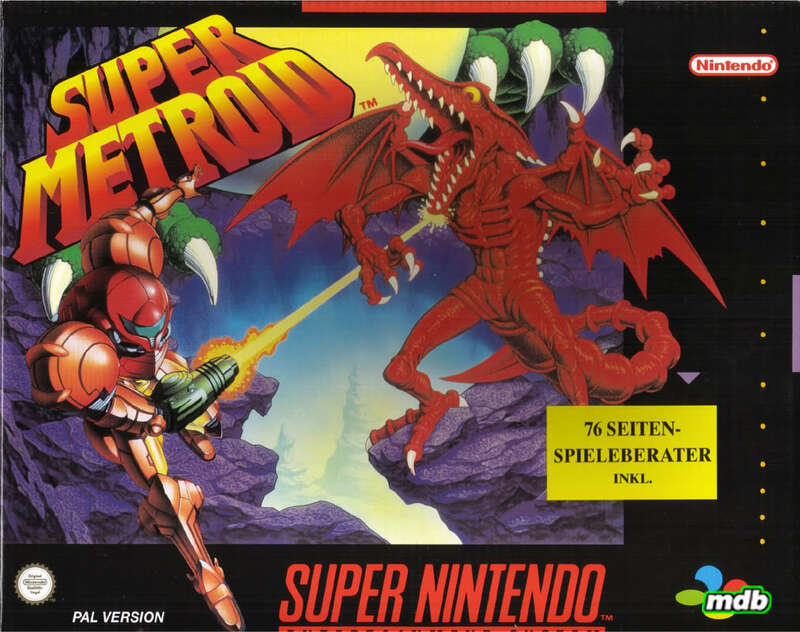 What is your favorite boxart for Super Metroid? Everything is good when it comes to super Metroid. I really like the Super Famicom fan art version. I like how they include all the Bosses with Samus in the front, and the way they put the Metroid in the very center. Yea I like the Metroid in the center as well. I'd love to see one that was a montage of all the common enemies in the game, and Samus fighting her way out of them.